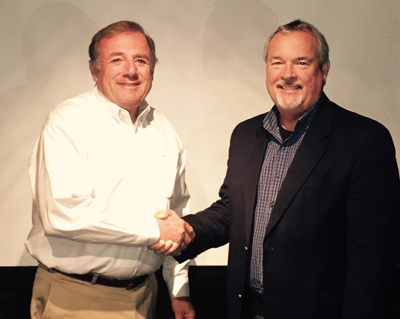 Geary Pacific Acquires HVAC Supply of Denver. Long-term relationship inspires joining of forces. California-based Geary Pacific Supply announces the acquisition of Denver’s HVAC Supply following a long-term business relationship that paved the way to their joining forces. Both firms specialize in supplying contractors of all sizes engaged in the residential and light commercial HVAC business. Layne Miller, CEO of Geary Pacific said, “Sal D’Alessandro, president of HVAC Supply, and I have been friends and business associates for more than 15 years. Throughout our relationship it became obvious that combining the two firms would assure us, our employees, customers and manufacturers, a bright future for decades to come. We have no plans to change staff or locations and HVAC Supply will keep its name and identity. Geary Pacific Supply, founded in 1961 by Pat Geary, a heating contractor, is a wholesale distributor of heating and air conditioning parts, controls, supplies, and equipment with 19 locations in Arizona, California, Nevada, Oregon and Texas. With the acquisition of HVAC Supply, founded in 1986, with six Colorado locations, serving Colorado and Wyoming – Geary Pacific now has a total of 25 locations serving six Western states. Both companies represent many of the same high quality product lines, like Bard, Daikin, Goodman, Honeywell, Emerson, White-Rodgers, and TruAire, along with other popular manufacturers.